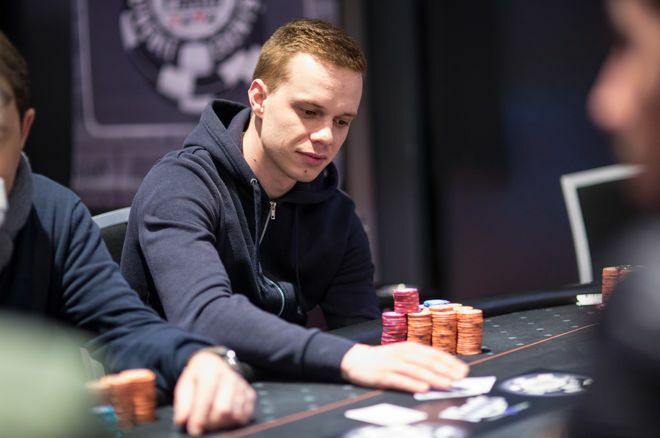 Sebastian Kos leads as 17 advanced from Day 1B of the 2018 World Series of Poker Europe COLOSSUS. The second of eight second days of the 2018 World Series of Poker Europe Event #1: €550 COLOSSUS No-Limit Hold'em saw a field of 167 entries emerge in Europe's biggest poker arena at the King's Casino in Rozvadov near the border to Germany. Along with the 154 entries of Day 1A, the current field size for the event stands at 321 entries in total and another 17 players ensured their ticket for Day 2. After 18 levels of 30 minutes each, local player Sebastian Kos ended up as the Day 1B chip leader with 593,000 and the overnight podium is completed by Lukasz Tomecki (418,000) and Lars Kamphues (397,000). Other notables among the survivors are Ondrej Lon (381,000), Van Tiep Nguyen (289,000), Andriy Palyuga (280,000), Marian Kubis (277,000), Krasimir Yankov (236,000) and 2018 WSOP bracelet winner Guoliang Wei (60,000). 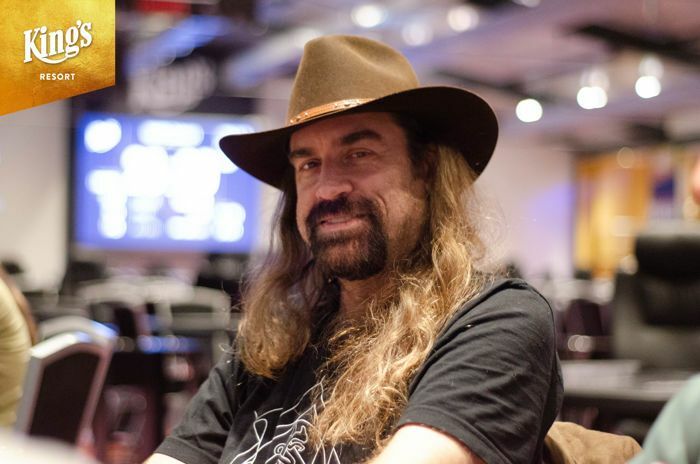 Six-time WSOP bracelet winner Chris Ferguson ended up as the bubble boy in the final level of the night when he was forced all in out of the big blind and stood no chance with four-two off against the pocket jacks of Rene Crha. The Czech himself didn't survive the final outburst of action at the end of the night either, as he was among the nine players to take home a portion of the Day 1B prize pool. Vojtech Skalak, Zurab Ejibia, Vladimir Valent and Nika Kakoishvili were among those to claim €785 for the efforts, Georgios Orestidis cashed for €905. More than 50 players were in their seats when the cards got into the air and the Day 1B field soon reached more than 100 entries. Such big names as Dutch Boyd, 2018 WSOP Player of the Year contender Shaun Deeb, Jeff Lisandro, Max Pescatori, and Sebastian Langrock all took another shot at the coveted gold bracelet. The first seat open of the day came after just eight minutes when Jan Hajek ran with kings into aces, and the early action was fast-paced. Among those to quickly vanish were recent WSOP International Circuit €1,650 Main Event champion Emil Bise, Martin Kabrhel, Oleh Haisiuk, Viliyan Petleshkov, Fahredin Mustafov, Josef Snejberg, and Aleksandr Merzhvinskiy. Shaun Deeb entered twice without success, on his second bullet he three-bet shoved with deuces into the pocket kings of Lukas Tomecki. Other big names such as Andrey Andreev, Allen Kessler, Roland Israelashvili and Robert Auer all missed out on something to show for and not far off the money bubble, Dutch Boyd, Renato Kaneoya and Matous Houzvicek had to settle for disappointment. Timo Kamphues lost a flip to his brother Lars when he couldn't hold up with pocket nines versus ace-queen and the rail also welcomed Philipp Zukernik, Konstantinis Misailidis, and Michael Soyza. As quickly as the players busted just shy of the money, as much the action slowed down on the direct money bubble itself. Eventually, it was 2017 WSOP Player of the Year Chris Ferguson that blinded out and couldn't crack pocket jacks when forced all in out of the big blind. The fireworks continued for the remaining 15 minutes of the night and reduced the Day 1B field from 26 to just 17 survivors. The next chance for poker enthusiasts from near and far to take a shot at the guaranteed prize pool of €1,000,000 and coveted gold bracelet to the winner awaits after a few hours of sleep. Day 1C will kick off at 12 p.m. local time and Day 1D follows right away as of 6 p.m. local time. The PokerNews live reporting team will be back on the floor to provide all the action.